I’ve watched Hammerman. I’ve written about Hammerman. This is no Hammerman. Kid ‘n Play premiered in 1990 on NBC. It followed the by-then-standard formula of a cartoon celebrity show where the featured celebrities appear in live-action wrappers at the beginning and end of each story, and a mediocre effort is sandwiched in-between. 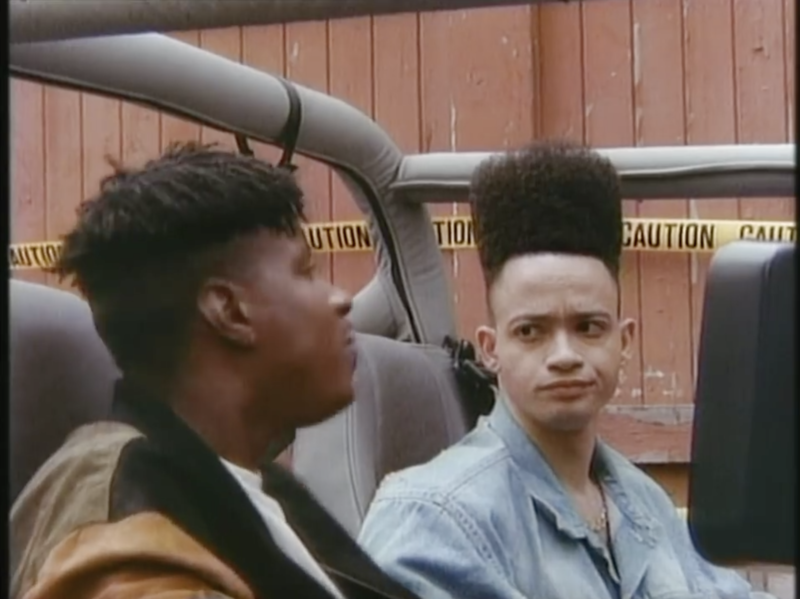 Kid ‘n Play seems to loosely follow the House Party premise, where Kid is responsible and Play is a troublemaker. Also, they’re totally normal high school kids who also happen to rap and have connections in the music industry. Also there’s a rival gang out to get them. The episodes feature pretty typical “Saturday Morning” lesson-teaching efforts; probably a little bit less than their counterparts. Not a lot happens during these episodes, for the most part. There are no superpowers like Hammerman, no combat like Chuck Norris’ Karate Kommandos, no relatable characters like the gang in Mr. T. Just Kid and Play, making music and reacting to music. Still, there’s something eye-catching about it. The animation is definitely crude, but the lazy “pyschedelic” backgrounds that appear during music sequences actually give the show a unique flavor. Martin Lawrence and Tommy Davidson also provide voice work for some of the characters – that’s a level of involvement that neither Kid nor Play gave. Check it out for yourself. There’s something charming about it, right? What is it? No, not a Doctor Who game, unfortunately. This 1982 title for the Magnavox Odyssey is a pretty solid offering. A side-scrolling space shooter, a la Galaga, with voice, a ridiculously beautiful color palatte, and 256 punishing levels? Yes, please. The box art is no slouch, either. I’m legit floored by this two-minute ad for a Six Million Dollar Man toy. It’s so good! Where would an ad like this have even run? The hubris of it is amazing. They are suggesting that this toy release is a ‘once or twice in history’ level event! For some reason, we Americans seem to be at our best when we’re selling cars. 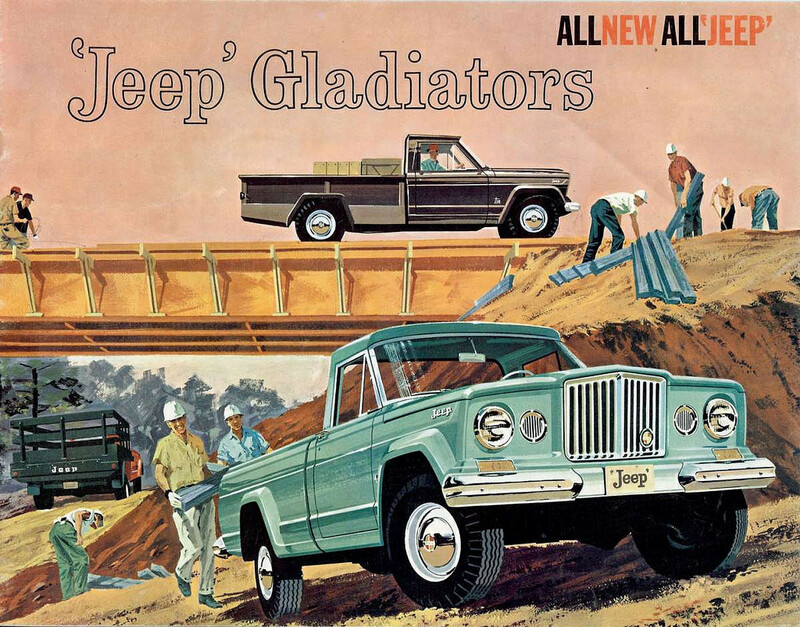 This gorgeous vintage Jeep ad supports that claim. This bland Maxwell House spot is actually refreshingly straightforward, and makes me want a cup of coffee. Just not Maxwell House coffee, please.